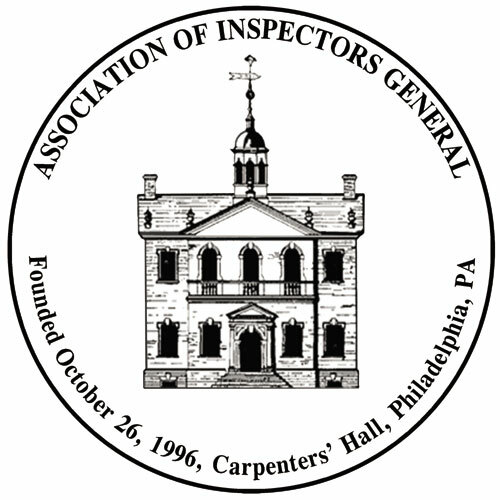 September 16, 2010 – 8:00 a.m.
Steven Pasichow called the meeting to order at 8:35 a.m. Steve welcomed all to the meeting of the New York City Metropolitan Area Chapter (“Chapter”) of the Association of Inspectors General (“Association”). Steven Pasichow mentioned that there are now six AIG Chapters across the United States. He provided a list of the officers of the Chapter to all the attendees. Steven Pasichow opened up for discussion that the various AIG Chapters have been independent entities and some have had difficulty navigating the various requirements that small businesses need to comply with. Steve said that national AIG retained the services of an attorney with an expertise with non-profit organizations. The attorney has studied our national organization and the various chapters and has provided an option for all of the individual chapters to come under the infrastructure of the national AIG organization. This will allow the various entities to benefit from using the national’s structure and compliance system. Ned Benton stated that this would save our Chapter from dealing with all of the laws, rules and requirements. Steve made a motion to have the Chapter bring itself under the structure of the national organization. Bob Joyce seconded the motion. The Motion passed with nine votes by the nine attending Board members, a quorum. Steven Pasichow stated that he is trying to obtain CLE credit for these Chapter meetings and for the presentations, which take place at the meetings. He will keep the Chapter updated on this effort. Steven Pasichow mentioned that it might be more reflective of our membership, and membership organizations if we changed our name to the New York/New Jersey Chapter of the Association of Inspectors General. Steve made a motion to make this change. Bob Joyce seconded the motion. The Motion passed with nine votes by the nine attending Board members, a quorum. Steven Pasichow described that there are trademarks for the various certification that the AIG issues and that were are seeking a trademark for the Institute that performs the training and certifications. He mentioned the importance of having a logo for the Institute. AIG held a contest for the best-proposed logo for the Institute and Steve handed out two sheets upon which there were several logo options. Steve asked that people contact him and let him know which one they prefer. Steven Pasichow described the status and progress for the Fall 2010 AIG Conference in Newark, New Jersey. Steve discussed the speakers, the arrangements, and the associated details. Steve encouraged the attendees to spread the word about the conference, and to encourage people to attend. He handed out the Conference invitation letter, and the draft agenda. Steve described the hotel accommodations and the rates being charged. Steve is also going to e-mail the agenda and the invitation letter to all Chapter members and the federal IG offices. Steven Pasichow introduced Matt Rosen, Deputy Director of the NYC Financial Crimes Task Force. Rosen gave a presentation about his newly formed office, its purpose and its mission. At the end of the presentation, Steve encouraged all members to contact Rosen and use his office’s available resources. Steven Pasichow opened up the forum for any discussions or comments. No such items arose, and the meeting was adjourned at 9:30 AM.